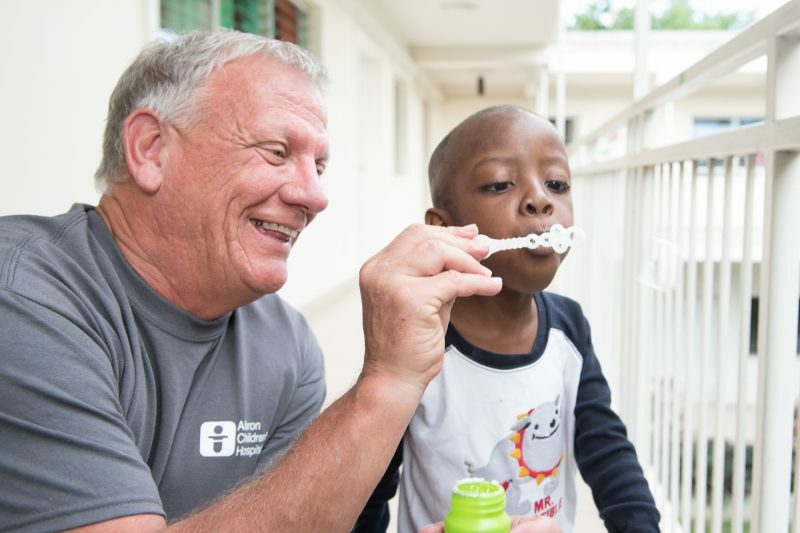 Dr. Christopher helps distract a child at St. Damien Pediatric Hospital in Haiti during the Akron Children’s Global Health trip in February. 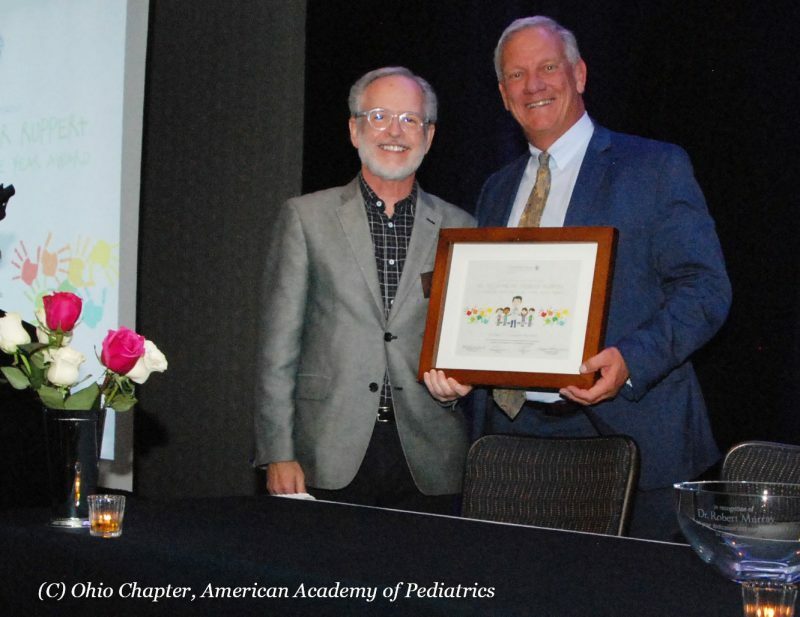 The Ohio Chapter of the American Academy of Pediatrics, representing more than 2,900 members in the state, recently bestowed its highest honor, the 2017 Elizabeth Spencer Ruppert, MD, FAAP, Outstanding Pediatrician of the Year Award, to Dr. Norman Christopher, chair of the department of pediatrics. This award recognizes a pediatrician for distinguished achievements and outstanding contributions to the advancement of pediatric care and education for patients and physicians in Ohio and across the country. Dr. Christopher was selected based on his leadership developing and supporting an infrastructure for quality improvement for inpatients at the Akron Children’s Hospital, as well as for his efforts to understand and build population health strategies here and at other children’s hospitals across Ohio. He was also recognized for his commitment to advancing knowledge in pediatrics in the area of post-traumatic stress disorder in children who have been victims of, or witnesses to abuse. Dr. Christopher (right) with Dr. Robert Murray, president of the Ohio AAP, at the awards dinner. Dr. Christopher received the award on Oct. 27 in Columbus.